The van Kruger conflict had, if little else, reminded von Carstein of the value of elite, heavily armoured warriors, as well as mighty monstrosities of muscle, fang, and bestial bloodlust. In Drakenhof the first ancient armoury was unearthed; its arms would be used in the subjugation of Stirland. As if sensing the impending darkness, the Stirland militia launched a pre-emptive strike against Malsar in Fort Oberstyre. In response, von Carstein’s main force marched through the friendly bogs of Schwartzhafen and seized The Moot. Weary of becoming trapped between two hordes of flesh-crazed undead, the men of Stirland broke their siege and hastened north, were they claimed Essen. 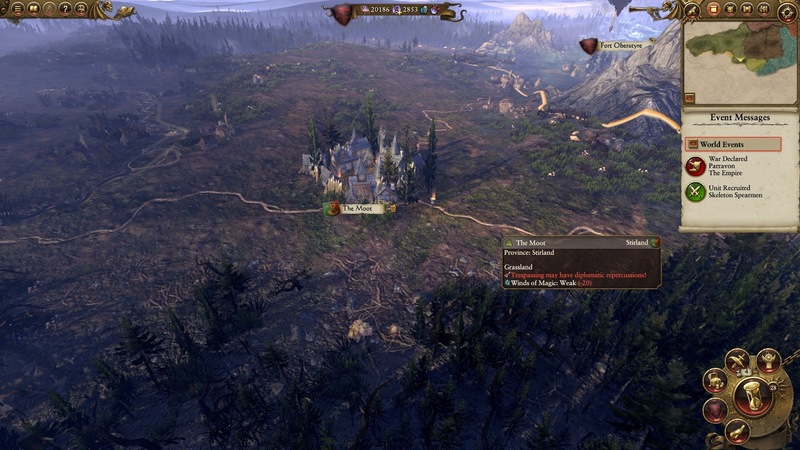 To the south, Zhufbar fell to the greenskin tribe of the Broken Spearz. To the north, Stirland sought to sack the town of Waldenhof. The men of Stirland may not have quite outnumbered the dead at Waldenhof, but they certainly outmatched them in terms of arms and fighting ability. Deploying on the high ground, the undead allowed the enemy to approach. Fell bats fell upon the ranged infantry and the enemy split their forces to address the attack, it was a foolish manoeuvre, a fatal gambit. The undead; skeletons, zombies, and denizens of the crypts surged to meet the depleted militia frontline, using their down-hill momentum to brutal effect. On the flank, ravenous packs of dire wolves forced the pistoleer cavalrymen into a retreat. 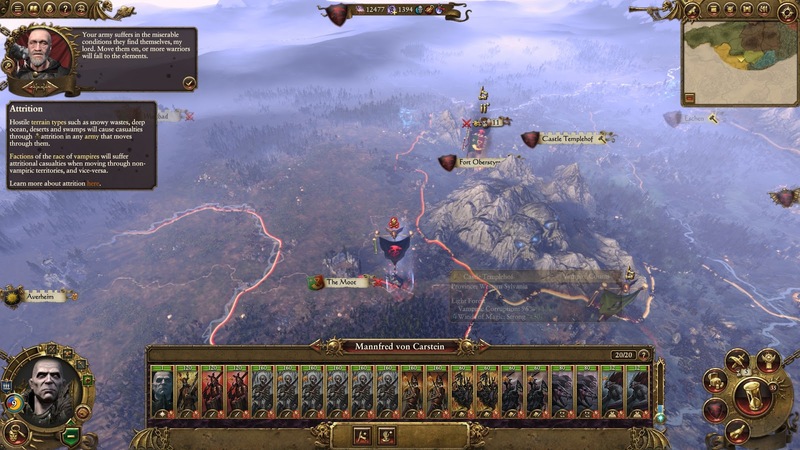 Before the enemy could reform their ranks and support their beleaguered front, the dire wolves swept in, reigniting the chaos the fell bats had first sparked. 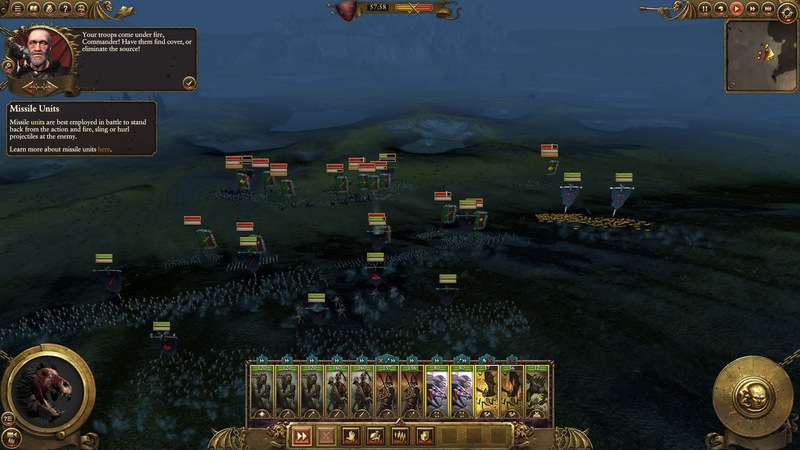 They used their animalistic guile and unnatural speed to avoid and kite the enemy infantry long enough for the main horde to finish their slaughter and rout the remaining troops. With their offense capability blunted at Waldenhof, and The Moot already fallen, doom was rising to clamp its unyielding claws around the throat of Stirland.